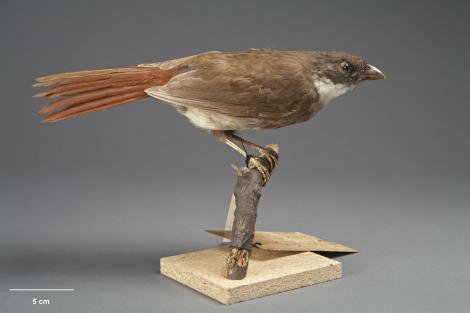 The North Island piopio was one of two closely related endemic piopio species, both now extinct. 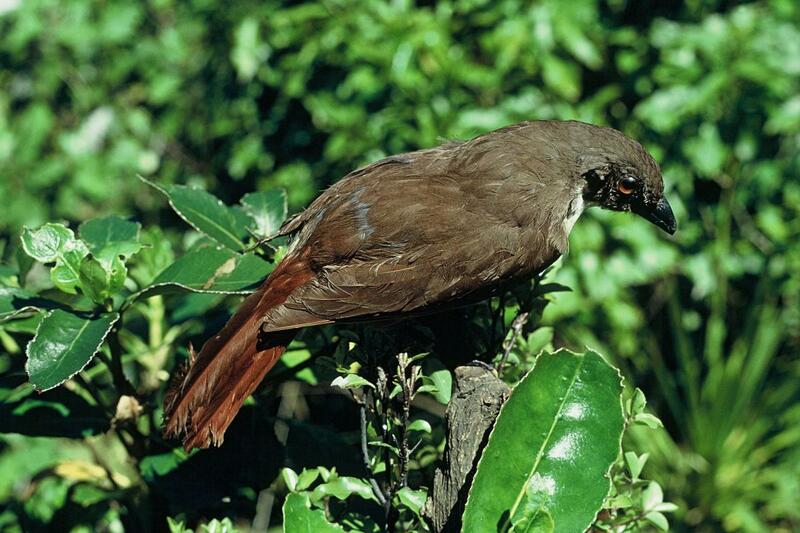 The relationships of piopio to other songbird species had long been a puzzle, especially given their superficial resemblance of Australian catbirds (which are bowerbirds). A recent DNA study revealed that piopio are orioles – a group of songbirds that are typically bright yellow-and-black elsewhere, but more sombre olive and brown in Australasia. 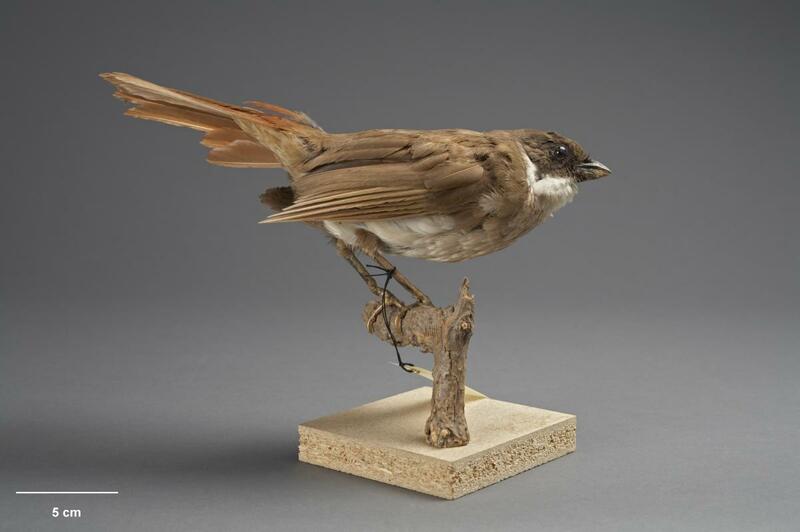 Since the oriole group originated c.20 million years ago, the ancestral species must have arrived by dispersal across the Tasman Sea. 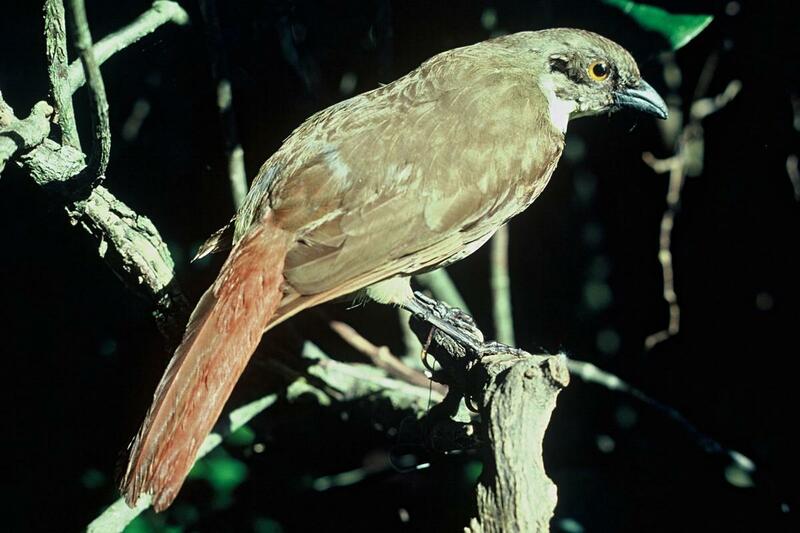 European settlers called piopio "the native thrush" due to a superficial resemblance of the South Island piopio to the smaller introduced song thrush. 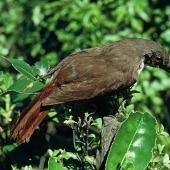 Its Maori name was based on the bird’s usual call. 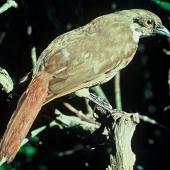 The last accepted record of a North Island piopio was in 1902, but unconfirmed reports continued through to the 1970s. 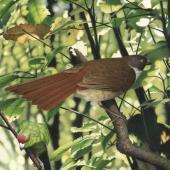 The North Island piopio was a medium-sized, grey-and-brown songbird with a prominent, clearly delineated white throat and upper breast, and a rufous tail. The crown, nape and face were greyish to olive-brown, the back and upper-wings were mid-brown, and lower breast mid-grey. The belly and vent were off-white. The robust, dark brown bill had a slightly decurved upper mandible ending in a sharp point, and there were short hair-like whiskers at the base of the bill and covering the nostrils. The eye was yellow, and the legs were long and dark brownish legs. The sexes were alike. Voice: the usual call of the North Island piopio was a "short, sharp, whistling cry, quickly repeated", which was the source of the name ‘piopio’. The full song was melodious, consisting of five distinct bars, each repeated 6-7 times in succession. 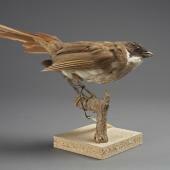 Similar species: female Eurasian blackbird has a finer bill and lacks the white throat and rufous tail. Subfossil remains reveal that the North Island piopio occurred throughout the North Island, from the Far North to Gisborne and Wairarapa, and up to at least 900 m above sea-level in matai broadleaf forest near Hawke's Bay. Piopio rapidly declined north of Auckland after European settlement, but remained common in the southern North Island into the 1860s. The last strongholds of the North Island piopio were in what is now Whanganui National Park area, and the Hauhungaroa area west of Lake Taupo. 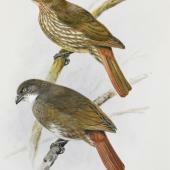 Buller described the North Island piopio as New Zealand's rarest endemic bird species in 1888. Specimens were shot in the Taihape district and central Taranaki into the 1880s, with the last confirmed record being a bird shot at Ohura, south Waikato, in February 1902. Unconfirmed sightings continued into the 1970s, mainly from forest behind Whanganui, inland Taranaki and Te Urewera. 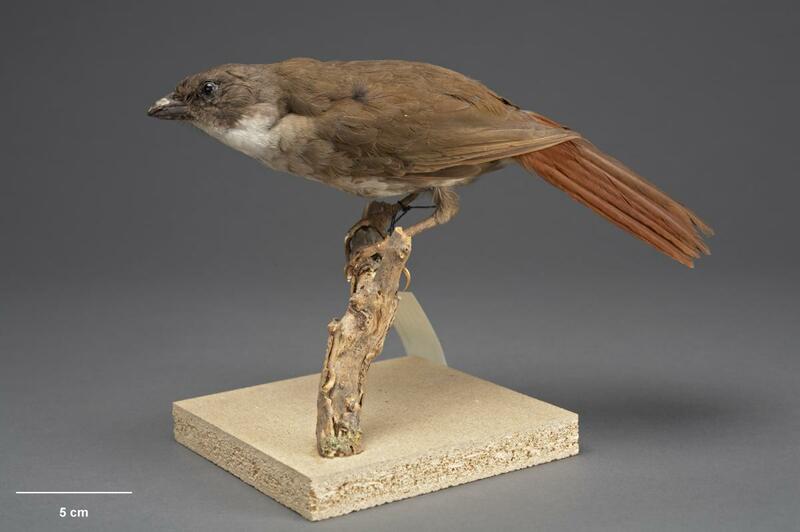 It is likely that predation by introduced ship rats was the main cause of extinction for North Island piopio, though birds were occasionally eaten by settlers, and their final disappearance coincided with the spread of stoats. Very little information available. 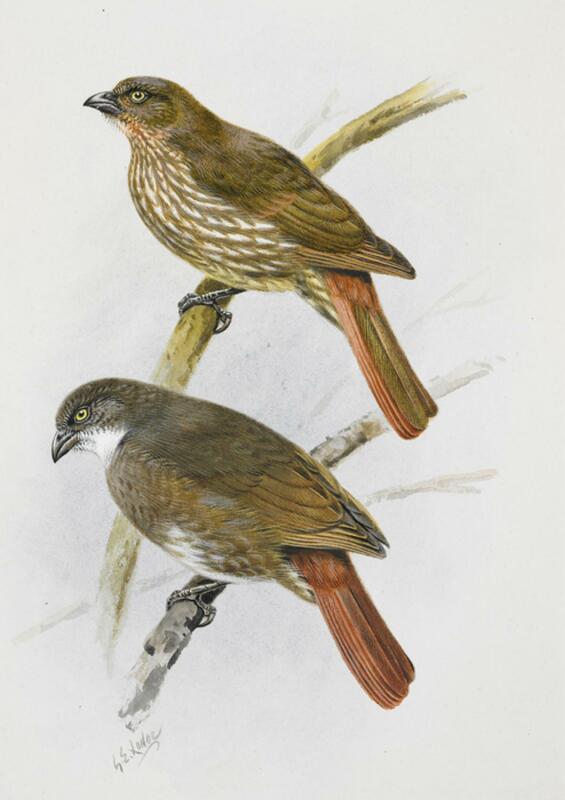 North Island piopio had a tame and confiding nature, inhabited dense undergrowth, and rarely flew. 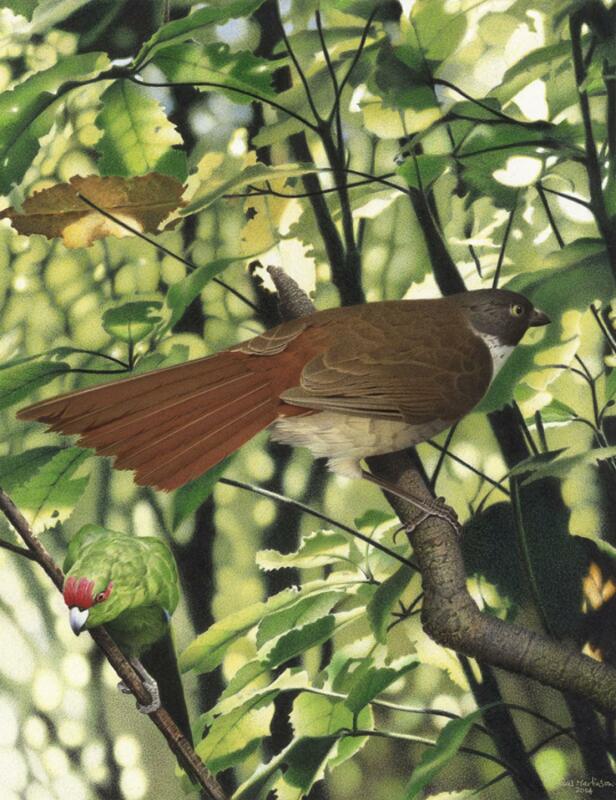 North Island piopio were omnivorous, consuming insects, worms, and berries. Medway, D.G. 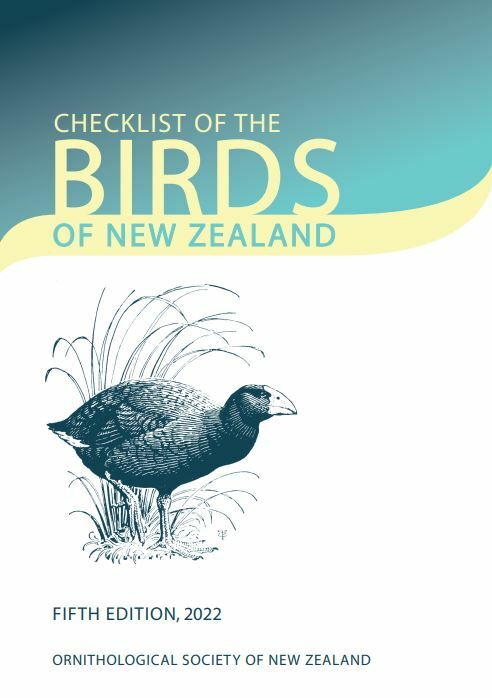 1968: Records of the huia, North Island thrush and North Island kokako from the diaries of Joseph Robert Annabell (1857-1924).Notornis 15: 177-192. 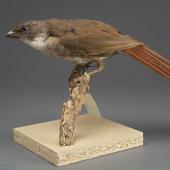 An extinct medium-sized songbird with a white throat and upper breast, greyish to olive-brown crown, nape and face, brown back and upper-wings, grey lower breast, off-white belly and vent, rufous tail, yellow eyes, and long dark brownish legs. The robust dark brown bill had a slightly decurved upper mandible ending in a sharp point and short hair-like whiskers at the base.